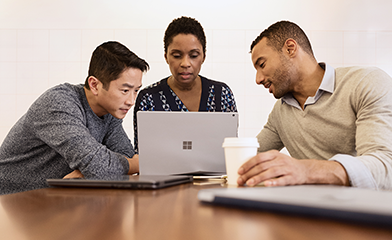 Azure AD makes the Leaders quadrant in Gartner’s 2017 Magic Quadrant for Access Management! I have great news to share with you today! 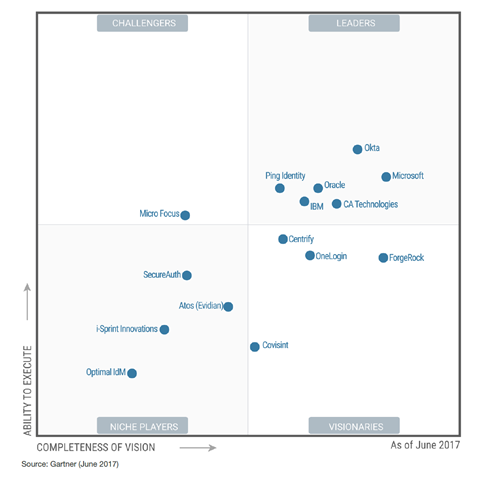 Gartner released their 2017 Magic Quadrant for Access Management (AM MQ), which shows that Microsoft is placed in the leaders quadrant for our completeness of vision and ability to execute. The AM MQ is a new MQ. It is a separate entity from the discontinued IDaaS MQ and this is the first time it has been published. Azure Active Directory is the product evaluated in the report. Our opinion is that Microsoft’s amazing placement validates our vision of providing a complete identity and access management solution for employees, partners, and customers, all backed by world-class identity protection based on Microsoft’s Intelligent Security Graph. We believe that Gartner’s analysis says a lot about our commitment to the identity and access management space. More importantly, though, Microsoft believes it says a lot about our customers, implementation partners, and ISV partners who have worked with us, sharing their time and energy every day to ensure the products and services we build meet their needs and position them to thrive in a world increasingly driven by cloud technology. We promise to continue delivering innovative capabilities to address your needs in the identity and access management space and to further improve our position in the leaders quadrant of the Gartner AM MQ.